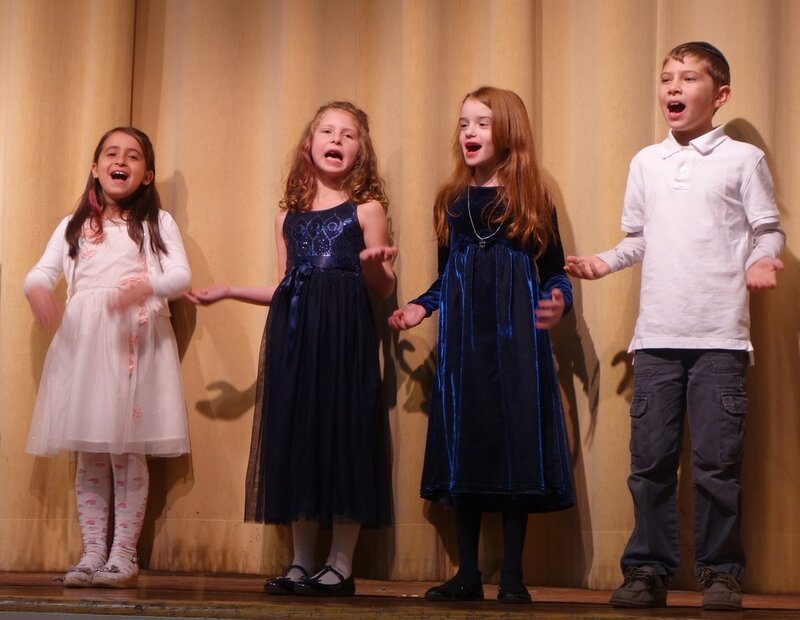 Throughout the primary school years, students develop core skills in vocal music utilizing the concepts of rhythm, students develop core skills in vocal music utilizing the concepts of rhythm, melody, harmony, form, expression, vocabulary and listening skills. 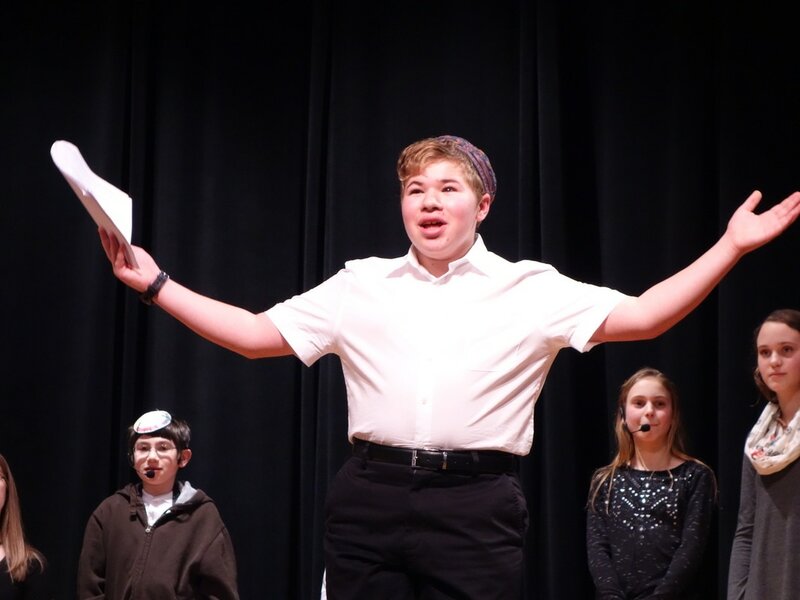 By performing, creating and describing music, each student will learn to appreciate Jewish, and American music. Classes meet with a music specialist once per week In the upper grades, students have the opportunity to play recorders and rhythm instruments, work with computer music programs and participate in after-school music clubs. 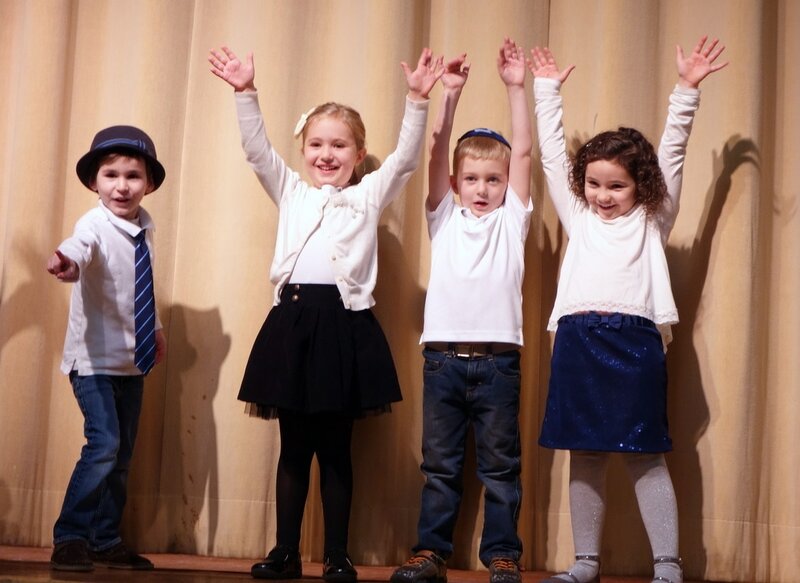 In early grades, students learn a growing repertoire of Jewish music in both Hebrew and English. Contemporary and traditional Jewish songs are taught, along with liturgy, Shabbat songs, and American songs. 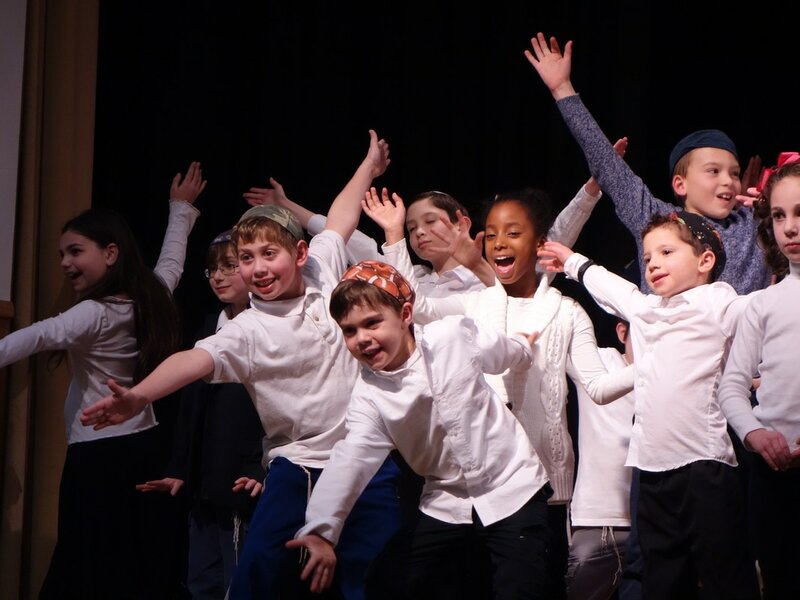 The students showcase their musical talents in performance opportunities such as the First Grade Siddur Ceremony and the Second Grade Chumash Presentation. Additional highlights for all students include performances at the annual Celebration of Light and Learning and the Spring Concert community event. We use music to enhance our role in the community by delivering Mishloach Manot (Purim Baskets) to the Jewish Home with a mini-concert, and warmly received performances at Senior Lunches.